Trends for 2015 focuses on the five main security concerns that businesses ought to focus upon to fend off cyber-attacks, explains why businesses need to be on guard, discusses how these threats have evolved, and provides advice for organizations on how to best protect their assets. As organizations improve their digital connectivity, new avenues for cybercrime open. The trick is to make sure your defenses are more impenetrable than your peers. By better understanding the threat landscape, you are much better prepared for the unwanted stuff lurking around the corner. 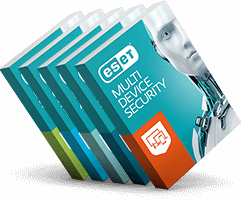 You can download this free ESET in-depth security report from http://www.welivesecurity.com/wp-content/uploads/2015/02/trends-2015-targeting-corporate-world.pdf.